The ages-old debate in Christianity continues to rage on. Do our guardian angels have favorite TV shows? 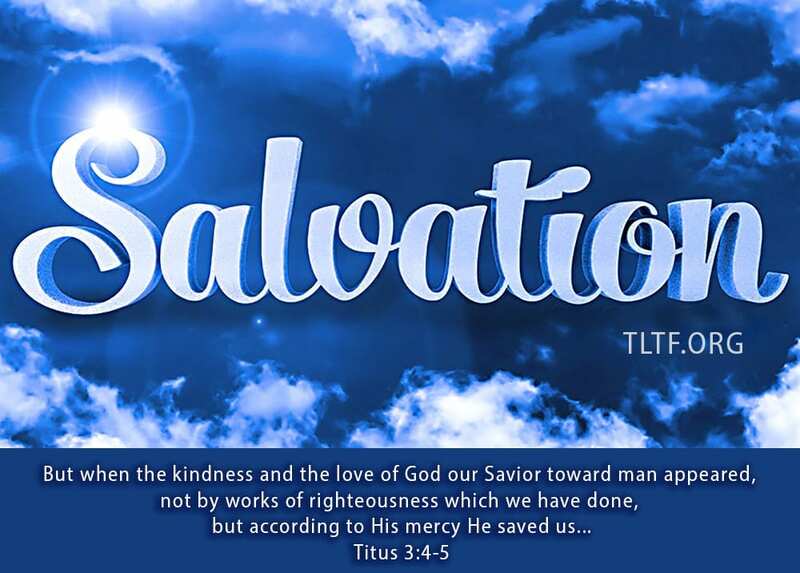 Oops, I mean, does a Christian do the works of God in order to be saved, to maintain (not forfeit) his salvation, or to gain any particular favor with God? Or does he work diligently, simply because he recognizes God’s amazing grace in saving him, and wants to show Him how thankful he is for the indescribable gift of salvation? In which of those two scenarios would a believer be more likely to “work heartily as unto the Lord,” give ”cheerfully,” “go the second mile,” etc.? Well, how about you? Compare doing work for an impersonal boss, work you must do in order to earn your pay, with working for someone who saved you from drowning, took you into his own family, and is lavishing his goodness upon you. Surely it is easier to put your whole heart into working for the latter. 9In this the love of God was manifested toward us, that God has sent His only begotten Son into the world, that we might live through Him. 10In this is love, not that we loved God, but that He loved us and sent His Son to be the propitiation for our sins. 11Beloved, if God so loved us, we also ought to love one another… 17Love has been perfected among us in this: that we may have boldness in the day of judgment [context: this is now, when men condemn us for trusting God]; because as He is, so are we in this world. 18There is no fear in love; but perfect love casts out fear, because fear involves torment. But he who fears has not been made perfect in love. 19We love because He first loved us. Omigosh! “We love because He first loved us”?! Think about what that means. It means that the quality of my love for God—and for people—is directly proportional to the degree that I understand how much God loves me. That’s a little scary, because honestly I’m not sure that I even begin to grasp the magnitude of God’s love for me, part of which is understanding His magnitude overall, which is vast, to put it mildly (Ps. 103:11). But I know that the Word and the works of God (as should our words and works) declare His magnitude, especially His giving His precious Son to die for me so that I can live forever. “God so loved that He gave…” and the more I focus on His boundless love for all men, the more I can fathom His love for me. As I choose to walk with Him daily, He reveals His goodness to me. And of course there is JESUS, who also loves me beyond my comprehension, and who chose to endure unspeakable agony in order to save me from sin and death, as if I were the only one who would believe. His past choices have made possible a bright present and future for you and me. I can’t fathom how he did what he did, but I think the following verses give us a significant clue. Therefore we also, since we are surrounded by so great a cloud of witnesses, let us lay aside every weight, and the sin which so easily ensnares us, and let us run with endurance the race that is set before us, 2looking unto Jesus, the author and finisher of our faith, who for the joy that was set before Him endured the cross, despising the shame, and has sat down at the right hand of the throne of God. Look at JESUS! How? Open The Book! His example is not out of reach. It says that his focus on the “joy set before him” was the key to his enduring the Cross. So what was the joy set before him? That if he went the distance, he would get to be king of the world, raise all believers from all time, and usher us into everlasting life in a brand new world. I’d guess that God gave His Son plenty of specifics about how glorious his future with us will be. 3For we ourselves were also once foolish, disobedient, deceived, serving various lusts and pleasures, living in malice and envy, hateful and hating one another. 4But whenthe kindness and the love ofGod our Savior toward man appeared,5not by works of righteousness which we have done, but according to His mercy He saved us, through the washing of regeneration and renewing of the holy spirit, 6which He poured out on us abundantly through Jesus Christ our Savior, 7that having been justified by His grace we should become heirs according to the hope of eternal life [life in the coming age]. 8This is a faithful saying, and these things I want you to affirm constantly, that those who have believed in God should be careful to maintain good works. These things are good and profitable to men. 9For I am the least of the apostles, who am not worthy to be called an apostle, because I persecuted the church of God. 10But by the grace of God I am what I am, and His grace toward me was not in vain; but I labored more abundantly than they all, yet not I, but the grace of God which was with me. God’s “grace” has been defined by some as “the condition that allows you to go further than you ever thought possible.” Of course, the choice is ours. We are to diligently do the good works of the Word as we preach and teach it. And we do them out of LOVE for our Father and our Lord, who first loved us and gave themselves for us. We are not to work with even the slightest trace of compulsion in the negative sense, but rather because we are motivated by overwhelming thankfulness, peace, and joy due to God’s immeasurable grace to us. We show our thanks to Him by passing on His love and truth to others. Thanks to brother Gary Lee Corns for the following insight re: grace unto works. The same Greek word (charis) is translated both “grace” and “thanks, which could be understood in this light: “The more we see God’s grace, the more we freely give him our thanks.” In the South, many folks still refer to praying over their meals as “saying grace,” and it is interesting how that nomenclature has survived through so many generations. The stupendous epistle of Ephesians gives us a wonderful example of GRACE UNTO WORKS. Chapters 1-3 set forth what God in Christ has done for us and who we are in Christ as a result. Chapters 4-6 begin with “therefore,” so what’s the “therefore” there for? They tell us how we are to live, given what God has done to save us. The second half of the epistle is about what we are to DO because of who God made us to BE. BEING comes before DOING. If you don’t BE, you can’t DO. The more clearly you understand who God made you to you BE, the more energetically you will DO what that spiritual identity elicits. One of the most vivid examples of GRACE UNTO WORKS that I know of was told to me by a former ministerial colleague. While in college, he had been assigned a term paper for the first semester class, but did nothing about it, and the semester was about to end. He went to his professor just before the Christmas break and confessed his slothfulness, saying he knew he deserved a failing grade. To his surprise, the prof pulled out his grade book, showed it to my friend, and wrote a big “A” beside his name, saying, “I’ll tell you what I’m going to do; I’m giving you an “A,” which will stay in my book no matter what you do. Now go home and write an “A” paper. And, of course, my friend went to Cancun and frittered away his whole vacation. No. Motivated by the professor’s grace and mercy, he wrote the “A” paper. As for our standing in Christ in God’s sight, each of us already has an “A+” in His Book. We are justified, righteous, sanctified, and guaranteed to be glorified—NO MATTER WHAT. Isn’t that what Romans 8:31-39 says: NOTHING can separate us from the love of God that is in Christ Jesus, our Savior. Sad to say that my inherent inclination is to feel that good works justify me in God’s sight, and bad works somehow at least slightly dilute His love for me. But God says differently, and I must believe what He says and act accordingly. Compared to the size of the world, each of our lives is like a relatively tiny garden, and we have the years of our lives to cultivate the fruit therein. The word “cultivate” means “to prepare and work on (land) in order to raise crops; to promote or improve the growth of (a plant, crop, etc.) by labor and attention.” That begins with an intimate relationship with the Lord Jesus so that we keep the weeds out and blossom ourselves. Furthermore, our borders are flexible—we can expand our sphere of influence whenever another person comes into our world. Personally, I want my garden of grace to abound with fruitfulness. I want to leave a huge wake of deliverance behind me in this life. How about you?